Freedom without discipline and self-control is dangerous to your health! Greetings to you my friends in the name of Our Lord and Friend Jesus Christ. You can expect to enjoy God's presence when you honor Him with your life. I know that as God uses me to help encourage those that are already believers in Jesus, I am also being encouraged and taught. To know this to be true- i have to go through these trainings, changes and grooming myself. As I may help push you on when times get a bit hard, frustrating and cloudy and the smallest doubt makes your way hard to see; I in turn push myself through a bit more also. A good teacher should also be a good student. It is not always easy walking by faith, following Jesus, going through refining fire after refining fire-from Glory to Glory-leaving your ashes for His Beauty. We are All within transitions of our being changed by His love. We really need to be here for one another. Jesus did not die on the cross just so we could be comfortable. It takes Courage to change from being governed and slave to the uncertainty of our emotions and our 'feelings' TO being governed and servant to the sureness of His Holy Spirit and His Word. So Many people waste so much time looking for that 'perfect lover' instead of allowing God to create the perfect Love in them! If you keep looking in the places that you can't go--you will miss the doors that are open for you. LOVE is a choice that we each have to make to live in. Hate always takes away your choices. If I encourage any unbelievers or fence sitters along the way, I am all the more glad. Glory is to God in the name of Jesus. As the Harvest is Plenty but the true workers are few. In the beginning, It’s not always easy giving up everything for Jesus and telling the Father that you can’t live as you have been and you know He has a better way--a better plan for your life and NOW you are ready to live the life that He created you to live. There are some hard truths that many of us have to wake up to face. That takes Courage and Strength to speak out the truth and stay with it. Every Day to speak out the truth and to Stay with Him. It is a choice that you have to make. A choice that has a lifetime of learning and promise to it. It is a choice you have to make and you have to stay with it no matter what comes your way. I pray for His people daily- to help you all through the Way you are on. I don’t need to know you—God knows who you are and what you need. I pray that He remembers you, and keeps you in the name of Jesus, Amen. There are people that come to God and stay with Him up to a point. Many people get scared and run from Him as things get a bit harder. They have been taught wrong things about God. About Who He is and What He will do for those that love Him. Many are caught up in dogma, theology, and legalism of religion. They have not been taught about the LOVE OF GOD. They have been turned off to God and Jesus. Those that lead others down the wrong way will have to answer for what they have done. My Lord, how I pray for Your Love to capture them and help them heal. I pray that Your love makes them hungry and thristy in their souls for More of YOU and less of the world. Amen. We have The Courage I speak of that is needed to Change your life. He wants us to leave the world’s ways of living and to go by the Way that Jesus gave us. Use your courage to walk with God—to trust Him and have faith in Him. 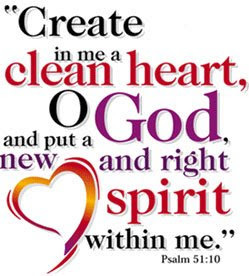 It takes examining your heart daily, your motives, facing lies with His truth, wanting to change-having a strong desire to change by His hand-to take Personal Responsibility to say that I am going to walk with Jesus and no matter what lessons/tests that come my way, I am going to STAY with Him. So many complicate God to the point that following Him becomes confusing for others. That is not His Way. He is the Way that is balanced, without confusion. To confess and adhere to the truth that; No matter what your friends say-what your family members say or even what strangers may say--you are going to stay with Jesus each step of the way every day. And know that the changes I speak of that we all need will not All happen overnight. When we relent and calm down, stop fighting Him and His Ways--Day by Day we work at them, and He works on us. He takes us by a Way that is easy to understand and adapt to. Trust will allow you to see how much easier it is to allow Him to guide you. He has to be a part of your every moment of each day. So if you are feeling down, sad, frustrated, or anything that falls under 'funky'--rest assured that God is working in you and on you and for you. Things have to be cleaned out that do not belong to Him and then He replaces what does need to be in you from Him. Well Father, as my grandmother would say. I say this to those people; of course ‘you’ can leave Him out of your conversation, out of your day, out of your problems and situations….BUT I can’t. He is Everything to me. I lived too long without Him overseeing my life and I am not about to leave Him out of anything pertaining to my life. And now that I know Him as well as I do, I can’t live without Him guiding my steps, and my thoughts. I’ve come too far to turn back now. The fire burns strong and biright within my heart for my Beloved Saviour! Thank You Jesus! He is the true Author and inspiration for our hearts and spirits. Stay Thirsty for all that Jesus is and has to give us. He does bless and answer those that are hungry and thirsty for Him. Those that love Him so much they have a Fire in their hearts for Him. I know what they mean and I know that all of their conversations that leave Him out are because they are trying to hide from Him, trying to not be changed. They do not want to go any further in their walk with Him. They have the wrong understanding of Him and they think they know it all about God. Somebody tried to beat God into them and they are tired of hearing about God in the ways they were being taught. I don’t blame them for seeing the truth of the negative teachings. But once that truth is seen, known and received, then it is time to start learning about Him in the Way that is correct. Some people are mad at God. They have done their praying and have waited for their answers and none have come. They are mad because they think He is taking too long to give them what they say they want and need. They have given up on Him because they do not really know the correct ways in which to be with Him. They do not have a Personal, intimate relationship with Jesus and because of this –they continue to create REGRETS for their life. And that is what they are feeding off of. The negatives, dry bones. Some people think they ‘know God’ and therefore stop learning. Like what they know is all there is! That really tickles me. Such thinking will keep you out of His presence rolling and tumbling through every misfortune that there is. I hear many people say things like; ‘I already know that’ –or- ‘I tried that-I do that all the time’ –or- ‘oh yeah, praise the Lord’ (with a ‘tude), -or- ‘I’ve been with the Lord a long time- I know what you are saying’ –or- I’ve been saved for 20 years, all my life, I know God’ –or- ‘I was raised in the church all my life-I’m tired of church’ –or- some other “I already know that “ comment. And I just sit and look at them if I am in the room with them—or I just sit and become quiet if we are on the phone. The teachings, the messages will stop coming through me (or anyone else that God sends to be a messenger)-for that person until they are in a higher place--a more humbled place in their journey. Some may never reach that place of being teachable-of speaking the truth that; they do not know what they think they know-AND there is So Much More To Learn EVERY DAY! That takes a very humbled soul who is tired of living lies and drowning in shallow waters to stand on their faith and speak the truth that they need to hear, see and live by. Some of these same people are caught up in situations, whining, crying, full of grief and frustrations, living off their emotions and feelings and none of them are as FREE as they claim to be. And there is So Much more I could write concerning the thinking of those people. Our brothers and sisters. But it is time for me to bring us into a clearer Praise for Him right now! Now after reading and believing these words, how could you not be filled with Joy and trust that God IS ON your side? Oh, I forgot, some don’t really believe as they say they do. God loves the truth, not lies and pretense-usually given in the guise of titles and shallowness. You are not fooling as many people as you think you are and you certainly are not fooling Jesus. The ‘prison doors’ that Jesus spoke of, I believe means the people who are slaves to and prisoners of their minds, and their thinking that is negative and self-defeating. So many are sitting in church Sunday after Sunday talking about praise God and thank You Jesus and are living lies full of fear and non belief. They are following what others tell them and not what God needs them to know. They are caught up in bringing the world into the church building instead of being a better Church of Jesus-by allowing Jesus to take the world out of them. They do not have a personal relationship with Jesus in order to boldly go to the Father, to sit and learn what He needs them to know. They follow those they think know without questioning. I Encourage you to Learn and Know the Word for yourself—ask God for a relationship with Him through Christ—ASK, the LIGHT is Always right here for anyone that wants Him. They do not know what the truth is so they fake it in order to be like the others around them. Listening to ‘pastor do-rag’ and ‘church mother don’t cause no trouble’; they keep their minds and actions on doing what they think is right instead of allowing Jesus to fully heal them so that they Do What IS right in the eyes of our Lord. They are convinced but not converted. Being concerned about recieving the awards from man, and not the rewards of God- living to seem good and right, doing ‘good works’ they think God would approve of instead of asking Him directly what they should be doing AND then doing what He says-- living to impress other people, living to be glorified and uplifted by people—wanting to gain material things and worldly status by one’s own way and little power, being jealous of what others have—All This is the world’s standards, not His. When people do what they think are good works they are afraid of what God might actually tell them to do. So they busy themselves with things and works they see others doing. Not knowing if that is what they should be doing based on His Will for their life. They don't stop to spend time with God to learn, listen, and grow--they just jump in with a group that looks like they are doing good work. They are scared of what God will instruct them to do. Why they fear I do not understand-God will not tell us to do anything that He is not going to Back us on. How many of you have heard others ask for God to Sanctify them? How many of you have asked Him to do this to your heart and life? Do you know what that word means? It means to ‘set apart’; separated; made holy; For God; from iniquity. Have you looked around and found that people that used to be in your life are not longer there? Have you looked around and realized that many things that you had a desire to do – you don’t anymore? Have you looked around and realized that God has asked you to give away things that are important to you and you could not rest until you did as He instructed? Being set apart by God for His use is FREEDOM in Christ Jesus manifesting for your life. Full Freedom. If all that and more has changed-Then He has sanctified you. Now is NOT the time to play games with God and the people He will send into your life to help you and for you to help them. We are within Lean Times. A Cleansing is occurring RightNow in this country, in the people's natural lives and in their spiritual lives! Satan will always do everything he can do to stop you once you have made up your mind to follow Jesus and to allow the Love of God to change your heart-your Way of living. You have to stay focused on His plan for your life—His Will for your life and those around you. How to know what His Will is for your life, for your children’s life for your life partners life; Spend time with Him and you Will be given His plans for your life. Learn His Word, and You will have understanding and wisdom of His plans for you and those around you. Be teachable and you will learn. Let go of the worlds standards and rise up to God’s standards. God guides us into our destiny one day at a time—those that try to make their destiny happen—ALWAYS fall short of the mark and always end up with what God threw away—they also will not stay in that place they reached on their own for very long. Chapter 11 of Hebrews is filled with the truth of His way. It gives us the foundation of being a believer. It tells us what to think and how to use the Gifts of the Spirit. Words like: Prompted by faith, Urged by faith, Actuated by faith, Aroused by faith, Leading and being Led by faith, Because of faith, Motivated by faith, With Eyes and Ears of faith. So many come and pray to the Father in the name of the Son. They come into the Fathers presences on fire with wants, drowning in tears of despair. But, how few actually wait on the Father-rest in His faithfulness and grace? How few wait in His presence for the calm and strength that contact through relationship with Him will give. How many obey the Fathers directions fully, yet want Him to be true to His promises to us? We are to look unto Him and be fully saved. Many look with a hurried glance—this was not intended—it will not bring forth the comfort needed. The looking and longing to see His face—the Face of our lover beholding His beloved, is to obey, pray and to wait on the Father. Many do feel and will continue to feel unfulfilled with the achievements of this world, because this world was Never Meant to fulfill us. We were created to long for the ONE who redeems our lives from the grave and takes us to Himself. We have been given the Way where there is No way. The Love that we feel for each other is God’s Gift to us! So when we do something not grounded and born from LOVE—we are denying His Gift to us—His Love! I love the old hymns—especially this one. In these lean times, that are upon the American people, who are you going to lean on? Thank You Lord for being my Friend-by Your example I am a friend to many also.